Behind every successful business is a person who has failed at least once in their life. That’s because failure often breeds a few important characteristics, such as adaptability, determination, and open mindedness. For small business owners hoping to grow their business in 2018 and beyond, there will be lessons aplenty in the coming days, weeks, months, and even years. The best thing to do is attempt to get ahead of the curve by being proactive instead of reactive. With that being said, do you have a trusted CPA firm to help you with valuable business consulting needs? Your financial situation is one of, if not the, most important aspects of your business. 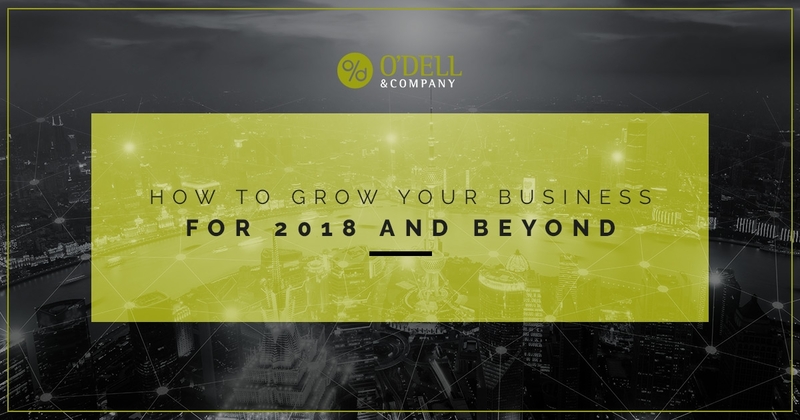 So when the time comes to launch your startup, plan for your tax strategy, and gain valuable insight which could lead to growth and success, contact the professional accounting team at O’Dell & Company for our valuable business consulting services. In the meantime, here are a few tools which could help you grow your business in the year 2018 and beyond. The health of your business’s finances are directly tied in with the health of the business itself. Without a growing bottom line, streamlined tax planning, and reliable accounting, there’s no way your business is going to get up off the ground. Bookkeeping: Do you have reliable software to aid with your back-office tasks such as payroll, accounts payable/receivable, and more? Budgeting: What is the ratio of your expenses compared to your projected revenue? Could you cut down in certain areas to grow your bottom line? Payment Processing: If you are selling goods and/or services, how are you going to handle your point of sale finances? Tax Planning: Small business tax planning is significantly different than filing as an individual. Do you know the laws and which forms you need to file? Having a reliable CPA firm on your side can greatly help you accomplish these important tasks so that you can feel safe in knowing that the accounting and financial aspects of your business are well taken care of. At O’Dell & Company, we provide the best CPA services in Fort Collins and beyond, including everything from small business tax planning to business consulting. Contact us today to learn more. Another important aspect of growing your business is dedicating a healthy portion of your budget toward marketing. Brand recognition is everything these days, and making sure you have the resources to allocate toward brand awareness can be crucial. Make sure you have money to build a website, get into your industry’s ad space, compile email lists, and of course get involved with branded social media accounts to reach customers before taking off on your business endeavors. There are many valuable lessons to be had when it comes to managing your business effectively. That’s especially true when it comes to hiring and staffing. As your business grows, you’re going to need to have reliable, efficient teammates by your side. Be sure that you are doing a thorough job of vetting qualified candidates and communicating with employees throughout the growing process. Having the right culture, the right team, and the right communication methods can greatly impact the success of your business. What does the market look like in the next month? What about the next year? How about the next decade? Understanding and implementing a forecasting strategy is just as important as any other aspect of operation. At O’Dell & Company, business forecasting and budgeting are a few of the business consulting services we offer. Our professional accountants have more than 30 years of experience with helping small businesses in Fort Collins, Denver, and beyond. Contact our local CPA firm today to learn more and get started on the right path.